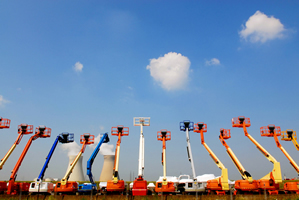 Unlimited available	 Aerial Boom Lift training $100.00 Aerial Boom Lift training is formal class room portion only. Presented via lecture, video, case studies, power points and written testing. Aerial Boom Lift Training course was designed to cover the current safety training requirements found in the OSHA standard and ANSI regarding Aerial Platforms and Mobile Scaffolding “Scissor Lift”.